Mix wet ingredients into dry, then stir in sesame seeds, pumpkin seeds, shredded coconut, walnuts (if using), and currants (if using). *Disclaimer- These make a fun treat for the holidays and should be consumed in moderation (that means you, Lauren), due to their high fruit, nut, and seed content...obviously, right!? I don't see it in the recipe, but how much dates do you use? 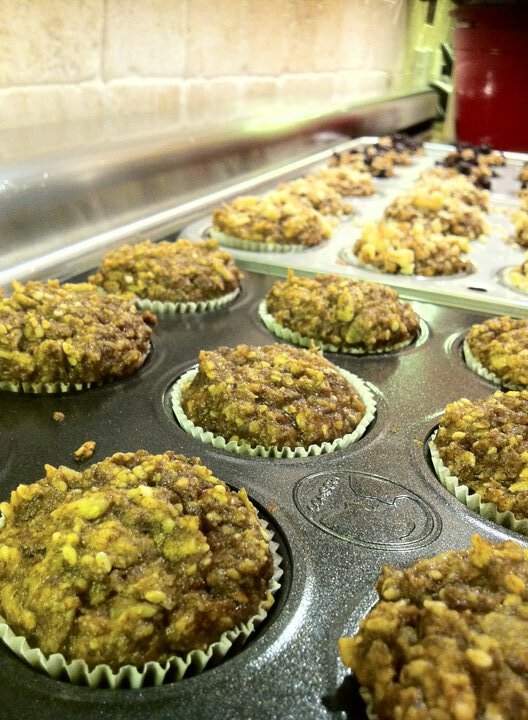 Just made these last night because I wanted to find a muffin recipe with no dates or added sugar. Saw the confusion with the dates but already had the flour mixture ready to go. Ended up adding extra cinnamon and no dates and they still came out pretty good, kind of like a nutty spice bread. But based on the other recipes on here that I've tried, I think either 4 or 6 dates should be sufficient!